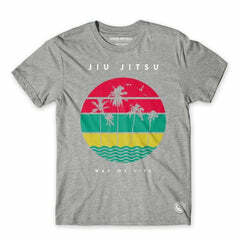 Charcoal BJJ t-shirts are subtle, yet stylish and are the perfect addition to any fighters wardrobe. Browse the range below to discover the variety we have on offer. After that, check out Fighters Market EU's larger range of BJJ t-shirts for more colours and designs, and discover the range of reputable brands.